This lamp represents a small improvement in manufacturing process beyond its 4th generation predecessor. 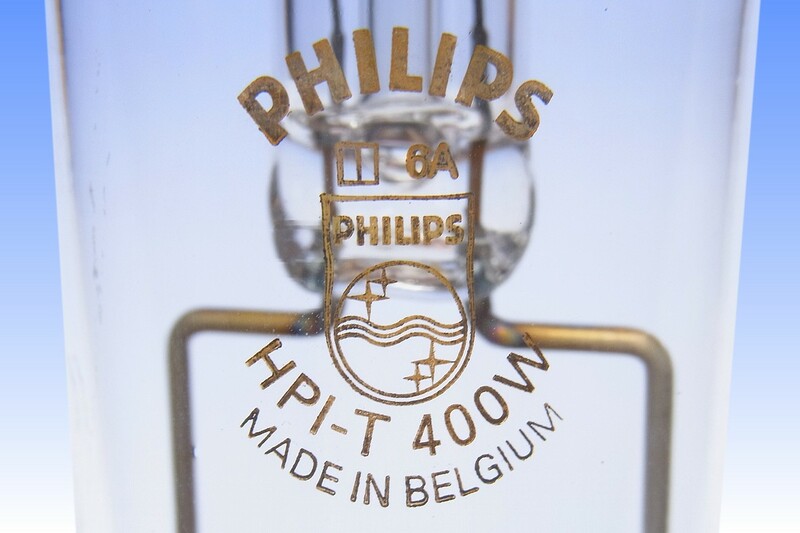 The sodium-indium-thallium chemistry of Philips HPI lamps is particularly sensitive to variations in arc tube dimensions, which influence the temperature of the region where the molten metal halide salts condense. 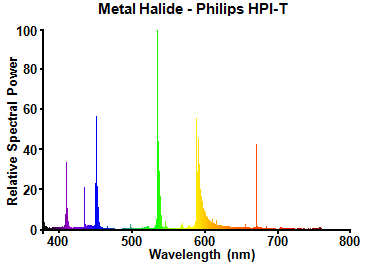 This determines the halide vapour pressures, and as a result the colour and efficacy of the light output. 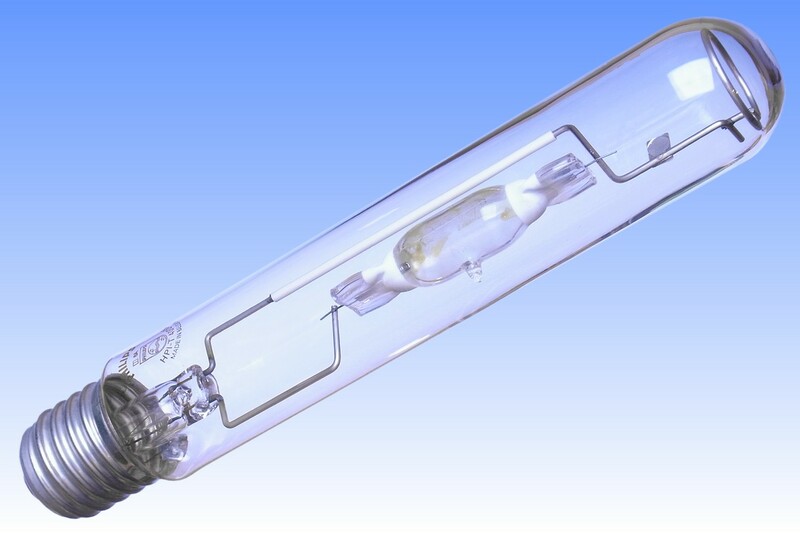 Earlier designs attempted to limit the variation from lamp-to-lamp by providing a deliberate cold spot, thanks to a sharply-defined cylindrical arc tube. 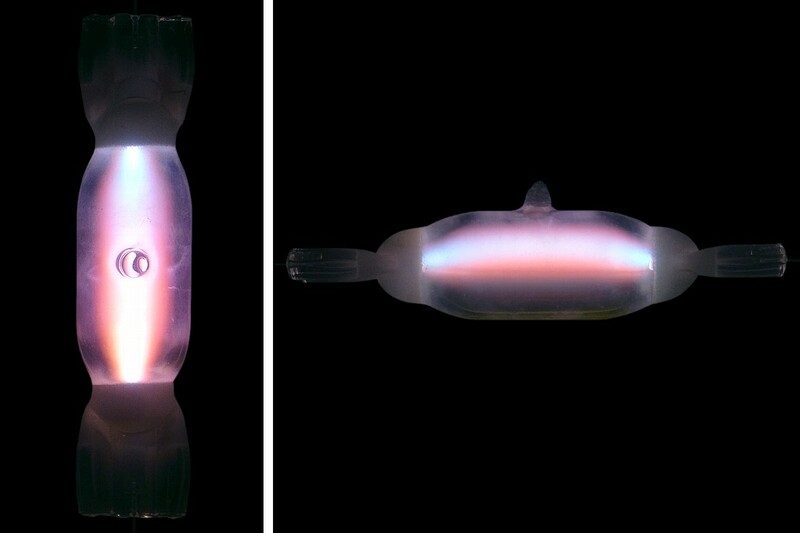 Although effective, that arc tube had to be hand-formed from three pieces of quartz - a labour-intensive operation. 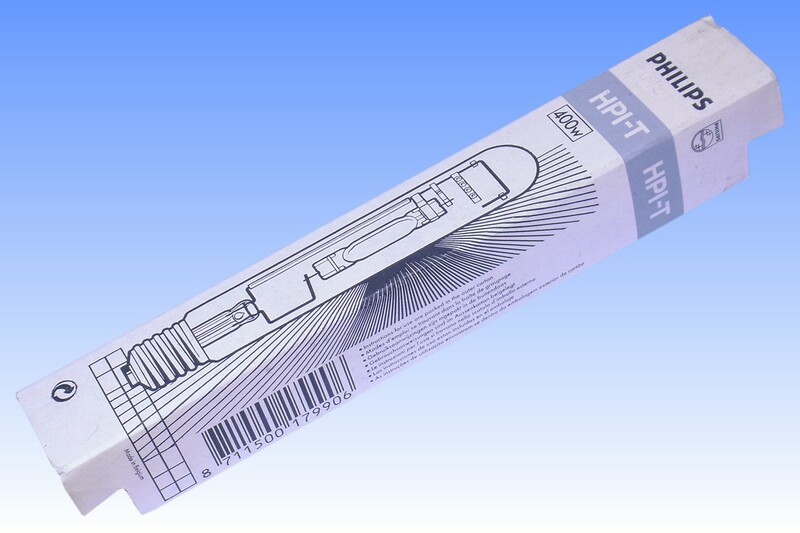 The intentional cold-spot also imposed a limit on vapour pressures, and light quality / efficacy. 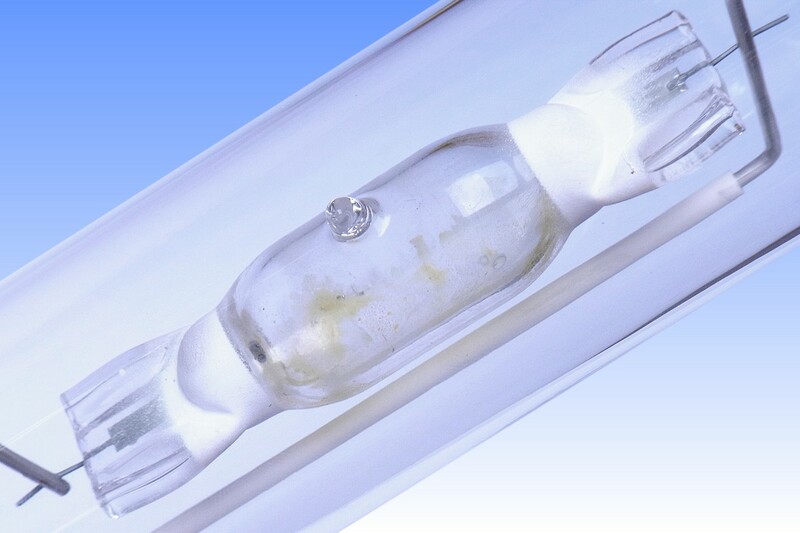 The lamp featured on this page was made possible as a result of improved process control in shaping the quartz arc tube dimensions. It employs a single-piece quartz body of narrow diameter, whose central portion has been inflated to a larger diameter. The shape of the area around the electrodes has been precisely formed by blow-moulding during the process of pinch-sealing the quartz. The small increase in cold spot temperature brings about a small improvement in efficacy and colour. The result is a simpler and better arc tube, whose costs could be further cut by transfering its production to the high speed automatic MH360 machine, according to a design that Philips inherited from its takeover of Westinghouse. The mount frame has also been simplified, the new shape allowing welds to be made directly to the arc tube. This delivers improved mechanical strength while also eliminating the former metal support strap at one end of the arc tube. References: 1) Philips UK Catalogue, 1994. 2) Philips UK Catalogue, 1997. 3) Philips Germany Catalogue, 1997. 4) Philips UK Price List, 4th December 1996.